CSWD provides a variety of services, at no cost, to help events reduce their solid waste and manage it effectively. These services are tailored to address the specific needs of each event. Contact the Event Outreach Coordinator to discuss your event and see how we can be of help. 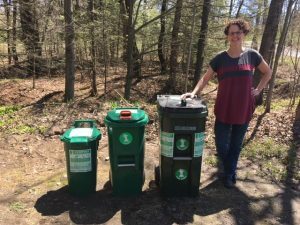 The CSWD Ordinance requires all events open to the public or held at a venue available to the public in Chittenden County to recycle and to pair trash and recycling containers. Event venues must also include certain language in their reservation forms, and some venues now fall under the Statewide requirements for keeping food scraps out of the trash. Let us help you navigate everything you need to know! We are currently updating our program guidelines and are revising the forms to reflect the changes. 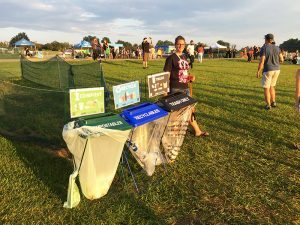 We will begin accepting Waste Warrior requests for the 2017 event season in January. We appreciate your patience until that time. If you are requesting Waste Warriors for an event occurring prior to February 1, 2017, please e-mail me at rorr@cswd.net so we can get started right away. Enjoy the holiday season, and check back here in January.